Guardianship disputes and applications to have guardians appointed are complex and require legal advice. Call estate lawyer Charles B. Ticker at: 1-866-677-7746. If there is no power of attorney in place and a person loses capacity, a guardianship dispute may ensue among relatives as to who should be made guardian of that person. It is difficult to decide when a person lacks capacity to make financial and/or personal care decisions. If a person is found to lack capacity the person will require the appointment of a guardian. A guardian is a person appointed by the Court to make financial and personal care decisions for the person lacking capacity. The decision who should be appointed as a guardian can be emotionally challenging for all the parties involved. For example, if an incapable parent is to be placed in a residence, there is no power of attorney, and his or her home needs to be sold, a guardian needs to be appointed to sell the home. This is one of the reasons it is vitally important to make sure you have the three most important documents in your estate plan (your will, power of attorney for property, power of attorney for personal care) prepared and updated by an estate lawyer who has an intimate understanding of estate law. If you estate plan is out of date it can cause serious complications if an unexpected death occurs in the family. Furthermore, it is prudent to update estate plans and succession planning in general whenever a major life event such as a birth, divorce, marriage, or death occurs in the family. That ensures that the documentation matches the current reality of the family. A person may become the subject of a guardianship if he or she is of limited means or if he or she has a substantial estate. If a substantial estate is involved, relatives may be engaged in a bitter rivalry and instead of using continuing power of attorney, the relatives may be arguing who should become guardian and have full control of the estate. If a person has an intellectual disability it may be unclear if he or she lacks capacity. Their caregivers may attempt to be come their guardians in order to have legal proof that they have authority to help these people with daily activities. If that person has an attorney for property or personal care and the attorney is mismanaging the incapable person’s property or finances. A concerned party may apply to the Court to remove the abusive attorney and to become guardian to the incapable person. If there is a feud between several people who are meant to act jointly as attorneys. This may result in stalemates and delay on decisions that have to be made on behalf of the incapable person. A contest guardianship application may arise. The Office of the Public Guardian and Trustee may automatically become the person’s statutory guardian if a capacity assessor determines the person lacks capacity. An assessor can be hired by anyone who is concerned that the incapable / vulnerable person is being taken advantage of. A concerned relative may apply to have the abusive person replaced as guardian of property. If a patient is in a psychiatric hospital receiving care for mental illness and is assessed by a doctor who finds that person is lacking capacity to manage his or her finances, the Office of the Public Guardian and Trustee automatically becomes the statutory guardian. Relatives can subsequently apply to replace the Office of the Public Guardian and Trustee as the incapable person’s guardian. Statutory guardianship under s. 15 of the Substitute Decisions Act. The Office of the Public Guardian and Trustee becomes the person’s statutory guardian of property if a certificate is issued under the Mental Health Act that a person in a psychiatric facility is incapable of managing property. Under Section 16 of the Substitute Decisions Act a person can request that a capacity assessor assess a person that the requesting persons believes is incapable of managing property. If the assessor issues a certificate of incapacity, the Public Guardian and Trustee becomes the person’s statutory guardian of property. Statutory guardianship does not require a Court hearing. Appointment of a guardian of property by the court under s. 22 of the Substitute Decisions Act. This process involves the filing of a Notice of Application, evidence that the person is incapable and a detailed management plan setting out how the proposed guardian plans to manage the incapable person’s property. The affidavit evidence to be filed is from lay persons, medical or psychological experts and / or assessments as to the person’s capacity to manage property. This procedure normally requires a Court hearing. It may be possible to proceed without a Court hearing in certain circumstances, but many Judges will require a hearing even if the requirements to proceed without a hearing are met. B. Guardian for personal care. This type of guardian is authorized to make decisions about the incapable person’s personal care. Some of these include decisions about healthcare, nutrition, shelter, clothing, and / or safety. The procedures for having a guardian for personal care appointed by the Court are similar to the procedures for a Court-appointed guardian of property. Whether you are seeking to appointed a guardian for property or a guardian for personal care, the procedures are complex and the Court filings should be done after receiving expert legal advice. 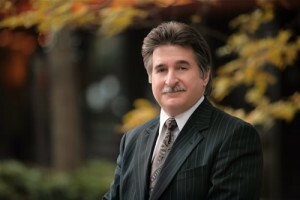 Charles Ticker has helped families resolved guardianship disputes for many years. He has vast experience in estate litigation as an estate lawyer. He has represented people for whom guardianship was sought, proposed guardians, and other family members. Charles has represented parties in highly contested cases and in uncontested cases. He can make the necessary Court filings and appearances, and he can help with the preparation of the requirement management plan. Representation by an estate lawyer may be required even if the matter dies not progress to a Court hearing. Finally, in certain parts of Ontario, mediation of guardianship disputes is mandatory. Charles is a qualified mediator and he is intimately familiar with the mediation process in Ontario. He is a Toronto estate lawyer with over 35 years of experience and he can guide you through the complex estate litigation process.